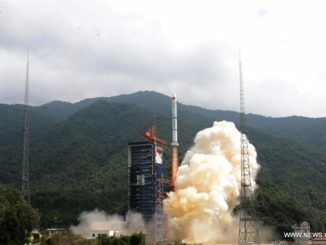 The launch of three experimental remote sensing satellites last week signaled the resumption of Chinese space launches following multiple rocket failures since late last year, but a senior Chinese space official has confirmed the Chang’e 5 mission to return samples from the moon remains grounded. 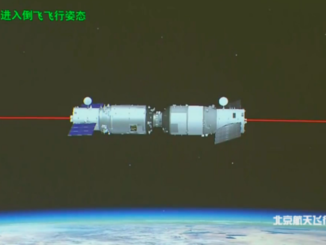 The Chinese Tianzhou 1 resupply and refueling freighter re-entered Earth’s atmosphere Friday, burning up as designed after a five-month mission demonstrating servicing techniques for China’s future space station. 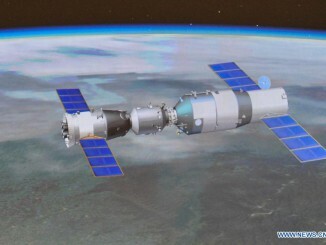 China’s Tianzhou 1 freighter, a pathfinder for regular resupply and refueling trips to the country’s planned space station, wrapped up a series of successful propellant transfer tests with the orbiting Tiangong 2 space lab Saturday and detached from the module for more standalone experiments and a destructive re-entry into Earth’s atmosphere. 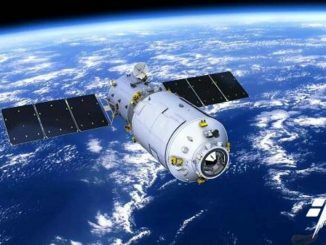 A series of achievements in China’s space program over the last 12 months have set the stage to start construction of the country’s first space station in 2019, a year later than previously scheduled, officials said Friday. 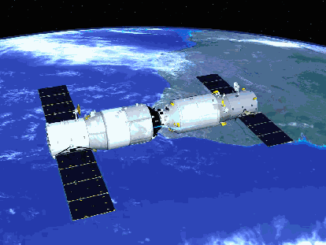 Less than two days after launching from southern China, the Tianzhou 1 supply ship glided to an automated linkup with the Chinese Tiangong 2 space laboratory around 240 miles above Earth on Saturday, ready for several months of technical demonstrations to prepare for assembly of a space station in the next few years. 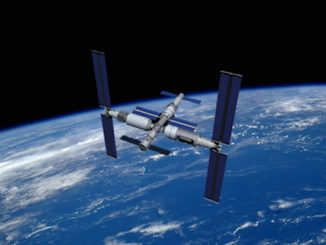 China plans to launch a new human-rated space laboratory as soon as July and send two astronauts to visit the mini-space station by end of the year.